INSPIRED IMPACT™ is an ongoing blog series that gives voice to social entrepreneurs and leaders of mission-driven organizations who are making an impact in their communities, industries, and around the world. 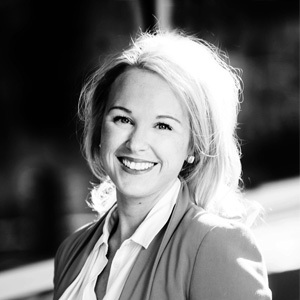 Julia Baker Hansen is the Executive Director of Jeengle headquartered in Denver, CO. Follow them on Facebook, Twitter, Instagram and LinkedIn and learn more at jeengle.org. Jeengle is exciting humans to give more to humanity by making giving easy. Jeengle is a giving gateway that allows you to give to a group of vetted charities. It’s easy! One donation reaches the spectrum of causes. And Jeengle isn’t skimming anything from the top. (Promise!) When you give to Jeengle, we divide that donation equally among a vetted group of organizations that covers the reach of charitable giving. Using our methodology, we diversify the charities that you give to. By carefully choosing the largest, most efficient and most effective organizations, Jeengle maximizes your dollars – allowing you to do the most for humanity. You can delight in the fact that you’re giving to the good guys. The ones doing the most with your dollars. We’re just in it for everyone that wants to give and everyone else that needs a little extra love. In 2018, Americans gave $410.02 billion to charity. That figure crushed any previous record for giving in America – and for the first time ever, exceeded the $400 billion mark. There’s clearly a very, very strong interest in giving in our country right now. Giving by individuals was up 5.2% and giving by corporations increased a whopping 8.0%. We can’t deny that giving is kind of a big deal in the United States. What does this mean? Essentially the wealthy and upper-class are continuing to give more while we’re seeing giving by the lower and middle-classes drop significantly. Like a lot of things in America, there’s a disconnect that’s creating a huge gap. On one side, this is amazing. We love the idea that we have strong, solid role models using their platforms to set the stage for all of us, as givers. However, what this also means is that there is a giant pool of potential donors that aren’t giving at all. These donors aren’t being represented by studies and figures – because they’re not part of the charitable equation within the United States at all. Jeengle believes that by making giving easier – and more tangible – we can, in turn, excite people to give more. Or, potentially, give for the first time! Because the vast majority of donations (often reported as 88%) for any given nonprofit organization are coming from donors giving $1000+ donations – that essentially means any given nonprofit organization needs to spend the vast majority (once again, often reported as 88%) of their attention on those exact donors. Because Jeengle is simply in the business of giving money away, we have the opportunity to solely focus on donors that are often inadvertently ignored by the majority of 501(c)(3) organizations. We have the privilege to delight and nurture the population of donors that are giving, or have the ability to give, $2 or $5 monthly recurring donations. It’s our pleasure to invite these donors into the world of giving, allow them to flex their charitable muscles and ultimately set a stage for them to create their own charitable trajectory. We believe that if a donor starts by giving through Jeengle – then ends their giving map with another organization – that we’ve still done our job. We are in the business of giving – and that’s a very, very good business to be in. You inspire me! Truly, YOU inspire me! We believe in people – and the goodness of people. All of them! We believe in bringing your best self to the day and we inherently believe you do, too! We stand by a mission of diversity and inclusion for all people. Jeengle is in this for humanity – for you, for her, for him, for they, for that group over there – for humanity. Jim Collins writes about the concept and importance of the BHAG (short for “Big Hair Audacious Goal”) in his book Built to Last. Our Board recently worked together to create some pretty far-reaching and compelling BHAGs. Without getting into the minutia of what we’re doing as an organization, Jeengle’s umbrella BHAG and vision is to ultimately make a $2.12 billion impact on charitable giving within America by making giving easier. We’re just like any other determined and feisty startup out there – both nonprofit and for-profit alike! We’re constantly working on ways to break through the noise to spread brand awareness. Like every other brand, we’re literally competing with every other brand (plus puppy videos, political news, babies doing cute things …) for any person’s eight seconds of attention. We’re always looking for new and fresh resources to make that happen. Our concept literally doesn’t exist – so getting to the bottom of Jeengle’s mission and vision isn’t always a quick conversation. This has been a challenge in getting Jeengle’s brand awareness to stick with a population of time-starved people, myself included. Also, because Jeengle passes along 100% of all donations – that seems to trigger a knee-jerk reaction of trepidation from people. Calming that concern just takes an additional step in our donor lifecycle process. If you see a problem that needs to be solved and isn’t currently be addressed – then solve it! As long as you’re being authentic – get out there and make a difference! Jeengle is highly motivated by the most authentic version of anything – be it a person, an organization or statement. The nonprofit sector is an industry that’s grounded on the idea of transparency – and ultimately, authenticity. We feel lucky to be a part of a world where authenticity and honesty is just the status quo. And, also call me up, because I’d love to be on that ride with you to cheer you on! Visit Jeengle’s website and join our social media conversations to learn more! Visit our donation page to make a one time or monthly recurring donation (our minimum donation is $1)! Otherwise, by all means, reach out to me directly to chat – julia@jeengle.org – I promise you, I’ll never turn down an opportunity to chat! Orapin Marketing + Public Relations is an award-winning communications agency that generates awareness, engagement, and, ultimately, support for mission-driven organizations. We amplify their voice and reach so they can increase their impact. If you would like to be featured on INSPIRED IMPACT™, reach out to hello@orapinmarketing.com.